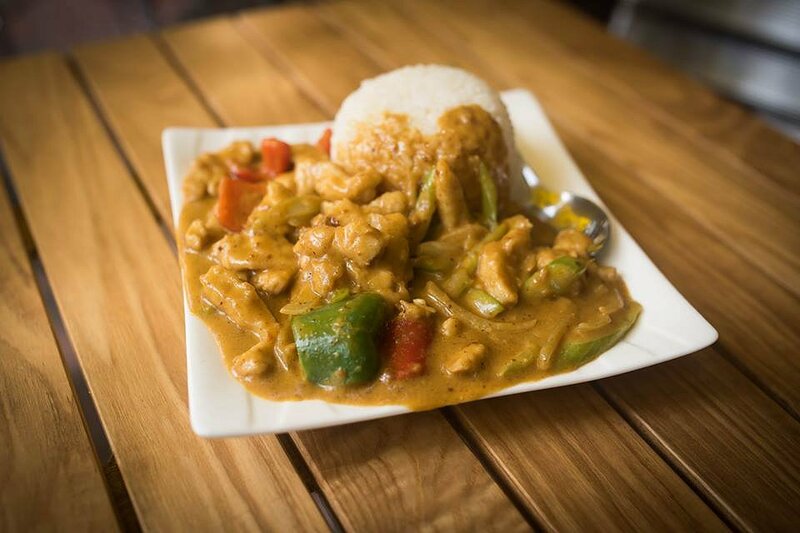 We’re really spoilt for choice when it comes to Asian food, especially down the Gouger Street cafe precinct. One of the new kids on the block is Hot and Spicy Kitchen which specialises in Hot Pots and your stock standard Chinese dishes. They have a decent selection of entrees, cold dishes and items separated by specific proteins. Like all good places, they have a simplified lunch menu for those on the go. For lunch, I ordered the Satay Chicken with Rice. The dish came out 15 minutes after ordering and was average in presentation. The serving was generous and I liked how the satay chicken was overflowing on the plate. The chicken was juicy and perfectly cooked, although I did come across some sinew when I was eating. The vegetables were crisp, and added a crunchy texture to the dish. The satay sauce had a thick consistency, a strong peanut flavour with a subtle spicy aftertaste. The steamed rice was firm with nice individual grains. The Satay Chicken and Rice was satisfying and delicious, all at a low price of $9.80. The service was good. They brought me table water without me asking, although they did forget to provide a napkin. Their selection of meals on offer is good, but with their lunch time menu, they’ll certainly give their competitors a run for their money.